333 pages | 1 B/W Illus. A centuries-old crime, human trafficking occurs not only in undeveloped countries, but also in some surprising locations. Right here in the United States, individuals are recruited, transported, and held by unlawful means—either through deception or under threat of violence. 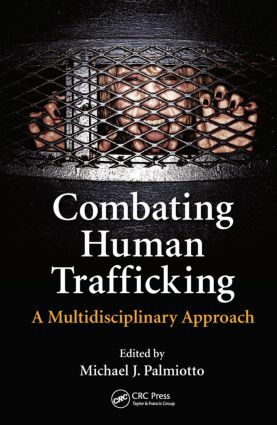 Approaching the topic from a law enforcement perspective, Combating Human Trafficking: A Multidisciplinary Approach provides an unprecedented look at the investigation of this phenomenon in America. An ideal resource for police investigators, police training, and community outreach organizations, the book is also suitable as a college text for criminal justice courses. It is hoped that the awareness created through this text will provide the knowledge and tools needed to help to end this form of modern-day slavery. Michael J. Palmiotto, Ph.D., is a professor of criminal justice and undergraduate coordinator of the Criminal Justice Department at Wichita State University, Wichita, Kansas. He is a former police officer in New York State, serving with the White Plains and Scarsdale Police Departments. He has experience in establishing and operating a police training facility in western Pennsylvania. He has a master’s degree from John Jay College (CUNY) and a doctorate from the University of Pittsburgh. Dr. Palmiotto has been a faculty member of several universities including Western Illinois University and Armstrong Atlantic State University. Dr. Palmiotto has published 11 books, 13 book chapters, and numerous articles on criminal justice and law enforcement. He has published in the areas of criminal investigations, community policing, police misconduct, police globalization, and police training, among others. He is the recipient of two Fulbright awards.